In a telephone interview Timberwolves owner Glen Taylor said disgruntled Jimmy Butler misled him and he regrets trading for the former Chicago Bulls star. Taylor, though, wouldn’t criticize the man who recommended the 2017 trade—Tom Thibodeau, his president of basketball operations and head coach. Butler’s childish antics at an expletive-laced practice last month and refusal to play in early season games were centerpieces to his strategy of forcing the Wolves to trade him, which they did several days ago acquiring three players and a future draft choice from the 76ers. It was a difficult trade process for the Wolves and one that Taylor advised Butler about, saying he should play in the games instead of opting out here and there. The Wolves’ longtime owner said Butler indicated to him he would play in the games, saying he planned to play with heart while inferring it would be business as usual. Instead, Butler’s theatrics, including his infamous October practice where he reportedly yelled at teammates and Wolves brass, created a drama that became a national story. Taylor’s reaction? “I probably don’t want to comment,” he answered. 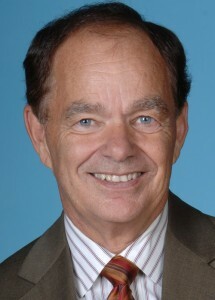 Glen Taylor (photo courtesy of Minnesota Timberwolves). The Wolves had a losing record of 4-9 while Butler was with the team. Minnesota qualified for the playoffs last season and the team’s early record was a disappointment to Taylor who gave up promising guards Zach LaVine and Kris Dunn, plus the No. 7 first round pick in the 2017 draft, to acquire Butler. Butler was a controversial talent in Chicago who had played part of his career for Thibodeau. Should Thibodeau have known—or had assurances—that in acquiring one of the NBA’s best all-round players he was obtaining a talent who wasn’t making long-term promises of staying in Minneapolis? Butler reportedly didn’t like his teammates and didn’t feel appreciated enough by the organization. A one season run was all the loyalty he cared to send Minnesota after the trade that brought him here. It’s the City of Lakes versus the Windy City this weekend with the Gophers playing in Minneapolis on Saturday against Northwestern, and the Vikings in Chicago for a Sunday night assignment with the Bears. Both the Gophers and Vikings were about three point underdogs earlier this week. That’s changed with the Gophers and Northwestern, and the game is now seen as closer to a tossup with wagers perhaps concerned about injuries taking a toll on the Wildcats. The incentives for the Gophers and Vikings goes beyond Minnesota pride. The Gophers, with a 5-5 overall record, need a sixth win to earn bowl eligibility. The Vikings, 5-3-1, are trying to repeat as NFC North Division champions and four of their remaining seven games are against division rivals including two meetings with the Bears. The question for the Gophers is what defense will show up at TCF Bank Stadium tomorrow? The unit that gave up 646 yards in a 55-31 loss to lowly Illinois? Or the group that limited explosive Purdue to just 233 yards in a 41-10 Minnesota win last Saturday? It’s Senior Day tomorrow and among the Gophers playing his last game will be Eden Prairie’s Blake Cashman. His performance against Purdue has to be one of the most impressive ever by a Minnesota linebacker. The coaching staff graded him with a remarkable 58 points, the most ever during head coach P.J. Fleck’s nearly two seasons at Minnesota. Former Gopher head coach Glen Mason, talking on the Big Ten Network this week, predicted Minnesota will defeat Northwestern and Wisconsin in its last two games of the season. The Bears have lost three of their last four games against the Vikings but the 2018 Chicago team is revitalized with new or improved players. The Bears are 6-3 and whether the Vikings can leave Chicago late Sunday night in first place could come down to which quarterback is best late in the game. The game’s outcome could turn on one play including special teams. Three years ago in Chicago Marcus Sherels ran a punt back 65 yards for a touchdown as Minnesota won 23-20. Sherels, 31, along with defensive end Everson Griffen, are the longest tenured players with the club after joining the Vikings in 2010. At some point the blame needs to be taken to ownership. We realize this is the NBA here, with some unique personalities. But Kevin Garnett is not on speaking terms with Glen Taylor. Kevin Love was not happy here. Jimmy just basically tore apart Taylor and the entire franchise. The current roster obviously wants very little to do with Tom Thibodeau and have tuned him out. Once he's canned (and he will be soon), they'll be on their NINTH head coach since just 2005. Why do we generally keep giving Mr. Taylor a pass? Because he grants interviews and is a fairly nice guy?